That Bill C-59, An Act respecting national security matters, be read the third time and passed. He said: Mr. Speaker, as I open this final third reading debate on Bill C-59, Canada's new framework governing our national security policies and practices, I want to thank everyone who has helped to get us to this point today. Historically, there were many previous studies and reports that laid the intellectual groundwork for Bill C-59. Justices Frank Iacobucci, John Major, and Dennis O'Connor led prominent and very important inquiries. There were also significant contributions over the years from both current and previous members of Parliament and senators. The academic community was vigorously engaged. Professors Forcese, Roach, Carvin, and Wark have been among the most constant and prolific of watchdogs, commentators, critics, and advisers. A broad collection of organizations that advocate for civil, human, and privacy rights have also been active participants in the process, including the Privacy Commissioner. We have heard from those who now lead or have led in the past our key national security agencies, such as the Canadian Security Intelligence Service, the RCMP, the Communications Security Establishment, the Canada Border Services Agency, Global Affairs Canada, the Privy Council Office, and many others. While not consulted directly, through their judgments and reports we have also had the benefit of guidance from the Federal Court of Canada, other members of the judiciary, and independent review bodies like the Security Intelligence Review Committee, and the commissioner for the Communications Security Establishment. National security issues and concerns gained particular prominence in the fall of 2014, with the attacks in Saint-Jean-sur-Richelieu and here in Ottawa, which spawned the previous government's BillC-51, and a very intense public debate. During the election campaign that followed, we undertook to give Canadians the full opportunity to be consulted on national security, actually for the first time in Canadian history. We also promised to correct a specific enumerated list of errors in the old BillC-51. Both of those undertakings have been fulfilled through the new bill, Bill C-59, and through the process that got us to where we are today. Through five public town hall meetings across the country, a digital town hall, two national Twitter chats, 17 engagement events organized locally by members of Parliament in different places across the country, 14 in-person consultations with a broad variety of specific subject matter experts, a large national round table with civil society groups, hearings by the House of Commons Standing Committee on Public Safety and National Security, and extensive online engagement, tens of thousands of Canadians had their say about national security like never before, and all of their contributions were compiled and made public for everyone else to see. Based upon this largest and most extensive public consultation ever, Bill C-59 was introduced in Parliament in June of last year. It remained in the public domain throughout the summer for all Canadians to consider and digest. Last fall, to ensure wide-ranging committee flexibility, we referred the legislation to the standing committee before second reading. Under the rules of the House, that provides the members on that committee with a broader scope of debate and possible amendment. The committee members did extensive work. They heard from three dozen witnesses, received 95 briefs, debated at length, and in the end made 40 different amendments. The committee took what all the leading experts had said was a very good bill to start with, and made it better. I want to thank all members of the committee for their conscientious attention to the subject matter and their extensive hard work. The legislation has three primary goals. First, we sought to provide Canada with a modern, up-to-date framework for its essential national security activity, bearing in mind that the CSIS Act, for example, dates back to 1984, before hardly anyone had even heard of the information highway or of what would become the World Wide Web. Technology has moved on dramatically since 1984; so have world affairs and so has the nature of the threats that we are facing in terms of national security. Therefore, it was important to modify the law, to bring it up to date, and to put it into a modern context. Second, we needed to correct the defects in the old BillC-51, again, which we specifically enumerated in our 2015 election platform. Indeed, as members go through this legislation, they will see that each one of those defects has in fact been addressed, with one exception and that is the establishment of the committee of parliamentarians, which is not included in Bill C-59. It was included, and enacted by Parliament already, in BillC-22. Third, we have launched the whole new era of transparency and accountability for national security through review and oversight measures that are unprecedented, all intended to provide Canadians with the assurance that their police, security, and intelligence agencies are indeed doing the proper things to keep them safe while at the same time safeguarding their rights and their freedoms, not one at the expense of the other, but both of those important things together. What is here in Bill C-59 today, after all of that extensive consultation, that elaborate work in Parliament and in the committees of Parliament, and the final process to get us to third reading stage? Let me take the legislation part by part. I noticed that in a ruling earlier today, the Chair indicated the manner in which the different parts would be voted upon and I would like to take this opportunity to show how all of them come together. Part 1 would create the new national security and intelligence review agency. Some have dubbed this new agency a “super SIRC”. Indeed it is a great innovation in Canada's security architecture. Instead of having a limited number of siloed review bodies, where each focused exclusively on one agency alone to the exclusion of all others, the new national security and intelligence review agency would have a government-wide mandate. It would be able to follow the issues and the evidence, wherever that may lead, into any and every federal department or agency that has a national security or intelligence function. The mandate is very broad. We are moving from a vertical model where they have to stay within their silo to a horizontal model where the new agency would be able to examine every department of government, whatever its function may be, with respect to national security. This is a major, positive innovation and it is coupled, of course, with that other innovation that I mentioned a moment ago: the National Security and Intelligence Committee of Parliamentarians created under BillC-22. With the two of them together, the experts who would be working on the national security and intelligence review agency, and the parliamentarians who are already working on the National Security and Intelligence Committee of Parliamentarians, Canadians can have great confidence that the work of the security, intelligence, and police agencies is being properly scrutinized and in a manner that befits the complexity of the 21st century. This scrutiny would be for two key purposes: to safeguard rights and freedoms, yes absolutely, but also to ensure our agencies are functioning successfully in keeping Canadians safe and their country secure. As I said before, it is not one at the expense of the other, it is both of those things together, effectiveness coupled with the safeguarding of rights. Then there is a new part in the legislation. After part 1, the committee inserted part 1.1 in Bill C-59, by adding the concept of a new piece of legislation. In effect, this addition by the committee would elevate to the level of legislation the practice of ministers issuing directives to their agencies, instructing them to function in such a manner as to avoid Canadian complicity in torture or mistreatment by other countries. In future, these instructions would be mandatory, not optional, would exist in the form of full cabinet orders in council, and would be made public. That is an important element of transparency and accountability that the committee built into the new legislation, and it is an important and desirable change. The ministerial directives have existed in the past. In fact, we have made them more vigorous and public than ever before, but part 1.1 would elevate this to a higher level. It would make it part of legislation itself, and that is the right way to go. Part 2 of the new law would create the new role and function of the intelligence commissioner. For the first time ever, this would be an element of real time oversight, not just a review function after the fact. The national security and intelligence review agency would review events after they have happened. The intelligence commissioner would actually have a function to perform before activities are undertaken. For certain specified activities listed in the legislation, both the Canadian security intelligence agency and the Communications Security Establishment would be required to get the approval of the intelligence commissioner in advance. This would be brand new innovation in the law and an important element of accountability. Part 3 of Bill C-59 would create stand-alone legislative authority for the Communications Security Establishment. The CSE has existed for a very long time, and its legislation has been attached to other legislation this Parliament has previously passed. For the first time now, the CSE would have its own stand-alone legal authorization in new legislation. As Canada's foreign signals intelligence agency, CSE is also our centre for cybersecurity expertise. The new legislation lays out the procedures and the protection around both defensive and active cyber-operations to safeguard Canadians. That is another reason it is important the CSE should have its own legal authorization and legislative form in a stand-alone act. Part 4 would revamp the CSIS Act. As I mentioned earlier, CSIS was enacted in 1984, and that is a long time ago. In fact, this is the largest overall renovation of the CSIS legislation since 1984. For example, it would ensure that any threat reduction activities would be consistent with the Canadian Charter of Rights and Freedoms. It would create a modern regime for dealing with datasets, the collection of those datasets, the proper use of those datasets, and how they are disposed of after the fact. It would clarify the legal authorities of CSIS employees under the Criminal Code and other federal legislation. It would bring clarity, precision, and a modern mandate to CSIS for the first time since the legislation was enacted in 1984. Part 5 of the bill would change the Security of Canada Information Sharing Act to the security of Canada information disclosure act. The reason for the wording change is to make it clear that this law would not create any new collection powers. It deals only with the sharing of existing information among government agencies and it lays out the procedure and the rules by which that sharing is to be done. The new act will clarify thresholds and definitions. It will raise the standards. It will sharpen the procedures around information sharing within the government. It will bolster record keeping, both on the part of those who give the information and those who receive the information. It will clearly exempt, and this is important, advocacy and dissent and protest from the definition of activities that undermine national security. Canadians have wanted to be sure that their democratic right to protest is protected and this legislation would do so. Part 6 would amend the Secure Air Travel Act. This act is the legislation by which Canada establishes a no-fly list. We all know the controversy in the last couple of years about false positives coming up on the no-fly list and some people, particularly young children, being prevented from taking flights because their name was being confused with the name of someone else. No child is on the Canadian no-fly list. Unfortunately, there are other people with very similar names who do present security issues, whose names are on the list, and there is confusion between the two names. We have undertaken to try to fix that problem. This legislation would establish the legal authority for the Government of Canada to collect the information that would allow us to fix the problem. The other element that is required is a substantial amount of funding. It is an expensive process to establish a whole new database. That funding, I am happy to say, was provided by the Minister of Finance in the last budget. We are on our way toward fixing the no-fly list. Part 7 would amend the Criminal Code in a variety of ways, including withdrawing certain provisions which have never been used in the pursuit of national security in Canada, while at the same time creating a new offence in language that would more likely be utilized and therefore more useful to police authorities in pursuing criminals and laying charges. Part 8 would amend the Youth Justice Act for the simple purpose of trying to ensure that offences with respect to terrorism where young people are involved would be handled under the terms of the Youth Justice Act. Part 9 of the bill would establish a statutory review. That is another of the commitments we made during the election campaign, that while we were going to have this elaborate consultation, we were going to bring forward new legislation, we were going to do our very best to fix the defects in BillC-51, and move Canada forward with a new architecture in national security appropriate to the 21st century. We would also build into the law the opportunity for parliamentarians to take another look at this a few years down the road, assess how it has worked, where the issues or the problems might be, and address any of those issues in a timely way. In other words, it keeps the whole issue green and alive so future members of Parliament will have the chance to reconsider or to move in a different direction if they think that is appropriate. The statutory review is built into Part 9. That is a summary of the legislation. It has taken a great deal of work and effort on the part of a lot of people to get us to this point today. I want to finish my remarks with where I began a few moments ago, and that is to thank everyone who has participated so generously with their hard work and their advice to try to get this framework right for the circumstances that Canada has to confront in the 21st century, ensuring we are doing those two things and doing them well, keeping Canadians safe and safeguarding their rights and freedoms. Mr. Speaker, I thank the minister for his speech. On June 20, 2017, almost a year ago to the day, the minister introduced Bill C-59 in the House. Shortly after that, he said that, instead of bringing it back for second reading, it would be sent straight to the Standing Committee on Public Safety and National Security so the committee could strengthen and improve it. Opposition members thought that was fantastic. We thought there would be no need for political games for once. Since this bill is about national security, we thought we could work together to ensure that Bill C-59 works for Canadians. When it comes to security, there is no room for partisanship. Unfortunately, the opposition soon realized that it was indeed a political game. The work we were asked to do was essentially pointless. I will have more to say about that later. The government introduced BillC-71, the firearms bill, in much the same way. It said it would sever the gun-crime connection, but this bill does not even go there. The government is targeting hunters and sport shooters, but that is another story. Getting back to Bill C-59, we were invited to propose amendments. We worked very hard. We got a lot of work done in just under nine months. We really took the time to go through this 250-page omnibus bill. We Conservatives proposed 45 specific amendments that we thought were important to improve Bill C-59, as the minister had asked us to do. In the end, none of our amendments were accepted by the committee or the government. Once again, we were asked to do a certain job, but then our work was dismissed, even though everything we proposed made a lot of sense. The problem with Bill C-59, as far as we are concerned, is that it limits the Canadian Security Intelligence Service's ability to reduce terrorist threats. It also limits the ability of government departments to share data among themselves to protect national security. It removes the offence of advocating and promoting terrorist offences in general. Finally, it raises the threshold for obtaining a terrorism peace bond and recognizance with conditions. One thing has been clear to us from the beginning. Changing just two words in a 250-page document can sometimes make all the difference. What we found is that it will be harder for everyone to step in and address a threat. The minister does indeed have a lot of experience. I think he has good intentions and truly wants this to work, but there is a prime minister above him who has a completely different vision and approach. Here we are, caught in a bind, with changes to our National Security Act that ultimately do nothing to enhance our security. Our allies around the world, especially those in Europe, have suffered attacks. Bill C-51 was introduced in 2014, in response to the attacks carried out here, in Canada. Right now, we do not see any measures that would prevent someone from returning to the Islamic State. This is a problem. Our act is still in force, and we are having a hard time dealing with Abu Huzaifa, in Toronto. The government is looking for ways to arrest him—if that is what it truly wants to do—and now it is going to pass a law that will make things even harder for our security services. We are having a hard time with this. Then there is the whole issue of radicalization. Instead of cracking down on it, the government is trying to put up barriers to preventing it. The funny thing is that at the time, when they were in the opposition, the current Minister of Public Safety and Emergency Preparedness and Prime Minister both voted with the government in favour of BillC-51. There was a lot of political manoeuvring, and during the campaign, the Liberals said that they would address Bill C-51, a bill they had supported. At the time, it was good, effective counter-terrorism legislation. However, the Liberals listened to lobby groups and said during the campaign that they would amend it. I understand the world of politics, being a part of it. However, there are certain issues on which we should set politics aside in the interest of national security. Our allies, the Five Eyes countries are working to enhance their security and to be more effective. The message we want to get across is that adding more red tape to our structures makes them less operationally effective. I have a really hard time with that. Let me share some examples of amendments we proposed to Bill C-59. We proposed an amendment requiring the minister to table in Parliament a clear description of the way the various organizations would work together, namely, the NSIC, CSE, CSIS, the new committee of parliamentarians, as well as the powers and duties of the minister. In our meetings with experts, we noticed that people had a hard time understanding who does what and who speaks to whom. We therefore drafted an amendment that called on the minister to provide a breakdown of the duties that would be clear to everyone. The answer was no. The 45 amendments we are talking about were not all ideological in nature, but rather down to earth. The amendments were rejected. It was the Conservative government that introduced Bill C-51 when it was in office. Before the bill was passed, the mandate of CSIS prevented it from engaging in any disruption activities. For example, CSIS could not approach the parents of a radicalized youth and encourage them to dissuade their child from travelling to a war zone or conducting attacks here in Canada. After Bill C-51 was passed, CSIS was able to engage in some threat disruption activities without a warrant and in others with a warrant. Threat disruption refers to efforts to stop terrorist attacks while they are still in the planning stages. Threat disruption activities not requiring a warrant are understood to be any activities that are not contrary to Canadian laws. Threat disruption activities requiring a warrant currently include any activity that would infringe on an individual's privacy or other rights and any activity that contravenes Canada's laws. Any threat disruption activities that would cause bodily harm, violate sexual integrity, or obstruct justice are specifically prohibited. Under BillC-51, warrants were not required for activities that were not against Canadian law. BillC-51 was balanced. No one could ask to intervene if it was against the law to do so. When there was justification, that worked, but if a warrant was required, one was applied for. At present, Bill C-59 limits the threat reduction activities of CSIS to the specific measures listed in the bill. CSIS cannot employ these measures without a warrant. At present CSIS requires a warrant for these actions, which I will describe. First, a warrant is required to amend, remove, replace, destroy, disrupt, or degrade a communication or means of communication. Second, a warrant is also required to modify, remove, replace, destroy, degrade, or provide or interfere with the use or delivery of all or part of something, including files, documents, goods, components, and equipment. The work was therefore complicated by the privacy objectives of Canadians. BillC-51 created a privacy problem. Through careful analysis and comparison, it eventually became clear that the work CSIS was requesting was not in fact a privacy intrusion, as was believed. Even the privacy commissioners and witnesses did not analyze the situation the same way we are seeing now. BillC-51 made it easier to secure peace bonds in terrorism cases. Before BillC-51, the legal threshold for police to secure a peace bond was that a person had to fear that another person will commit a terrorism offence. Under BillC-51, a peace bond could be issued if there were reasonable grounds to fear that a person might commit a terrorism offence. It is important to note that Bill C-59 maintains the lower of the two thresholds by using “may”. However, Bill C-59 raises the threshold from “is likely” to “is necessary”. Earlier when I mentioned the two words that changed out of the 250 pages, I was referring to changing “is likely” to “is necessary”. These two words make all the difference for preventing a terrorist activity, in order to secure a peace bond. It would be very difficult to prove that a peace bond, with certain conditions, is what is needed to prevent an act of terrorism. This would be almost as complex as laying charges under the Criminal Code. What we want, however, is to get information to be able to act quickly to prevent terrorist acts. We therefore proposed an amendment to the bill calling for a recognizance order to be issued if a peace officer believes that such an order is likely to prevent terrorist activities. The Liberals are proposing replacing the word “likely” with the words “is necessary”. We proposed an amendment to eliminate that part of the bill, but it was refused. That is the main component of Bill C-59 with respect to managing national security. Bill C-59 has nine parts. My NDP colleague wanted to split the bill, and I thought that was a very good idea, since things often get mixed up in the end. We are debating Bill C-59 here, but some parts are more administrative in nature, while others have to do with young people. Certain aspects need not be considered together. We believe that the administrative parts could have been included in other bills, while the more sensitive parts that really concern national security could have been dealt with publicly and separately. Finally, the public and the media are listening to us, and Bill C-59 is an omnibus bill with so many elements that we cannot oppose it without also opposing some aspects that we support. For example, we are not against reorganizing the Communications Security Establishment. Some things could be changed, but we are not opposed to that. We supported many of the bill's elements. On balance, however, it contains some legislation that is too sensitive and that we cannot support because it touches on fundamental issues. In our view, by tinkering with this, security operations will become very bureaucratic and communications will become difficult, despite the fact the the main goal was to simplify things and streamline operations. The Standing Committee on Public Safety and National Security heard from 36 witnesses, and several of them raised this concern. The people who work in the field every day said that it complicated their lives and that this bill would not simplify things. A huge structure that looks good on paper was put in place, but from an operational point of view, things have not been simplified. Ultimately, national security is what matters to the government and to the opposition. I would have liked the amendments that we considered important to be accepted. Even some administrative amendments were rejected. We believe that there is a lack of good faith on the part of the government on this file. One year ago, we were asked to work hard and that is what we did. The government did not listen to us and that is very disappointing. Mr. Speaker, I thank my colleagues for their speeches. Here we are again, debating Bill C-59 at third reading, and I would like to start by talking about the process of debate surrounding a bill, which started not with this government, but rather during the last Parliament with the former Bill C-51. Contrary to what we have been hearing from the other side today and at other times as well, the NDP and the Green Party were the only ones that opposed Bill C-51 in the previous Parliament. I have heard many people talk about how they were aware that Canadians had concerns about their security, about how a balanced approach was vital, and about how they understood the bill was flawed. They took it for granted that they would come to power and then fix the many, many, many flaws in the bill. Some of those flaws are so dangerous that they threaten the rights, freedoms, and privacy of Canadians. Of course, I am talking about the Liberal Party, which supported Bill C-51 even as it criticized it. I remember that when it was before committee, the member for Malpeque, who is still an MP, spend his time criticizing it and talking about its flaws. Then the Liberal Party supported it anyway. That is problematic because now the government is trying to use the bill to position itself as the champion of nuanced perspectives. The government keeps trying to say that there are two objectives, namely to protect Canadians and to protect Canadians' rights. I myself remember a rather different situation, which developed in the wake of the 2014 attack on Parliament. The Conservative government tried to leverage people's fear following that terrible event to make unnecessary legislative changes. I will comment further on what was really necessary to protect Canadians. A legislative change was therefore proposed to increase the powers given to national security agencies, but nothing was done to enhance the oversight system, which already falls short of where it needs to be to ensure that their work is done in full compliance with our laws and in line with Canadians' expectations regarding their rights and freedoms. Surveys showed that Canadians obviously welcomed those measures because, after all, we were in a situation where ISIS was on the rise, and we had the attack in Saint-Jean-sur-Richelieu, which is not far from my region. We also had the attack right here in Parliament. They took advantage of people's fear, so there was some support for the measures presented in the bill. To the NDP, our reflection in caucus made it very clear that we needed to stand up. We are elected to this place not only to represent our constituents, but also to be leaders on extremely difficult issues and to make the right decision, the decision that will ensure that we protect the rights of Canadians, even when that does not appear to be a popular decision. Despite the fact that it seemed to be an unpopular decision, and despite the fact that the Liberals, seeing the polls, came out saying “We are just going to go with the wind and try and denounce the measures in the bill so that we can simultaneously protect ourselves from Conservative attacks and also try and outflank the NDP on the progressive principled stand of protecting Canadians' rights and freedoms,” what happened? The polls changed. As the official opposition, we fought that fight here in Parliament. Unlike the Liberals, we stood up to Stephen Harper's draconian BillC-51. We saw Canadians overwhelmingly oppose the measures that were in Bill C-51. What happened after the election? We saw the Liberals try to square the circle they had created for themselves by denouncing and supporting legislation all at the same time. They said not to worry, because they were going to do what they do best, which is to consult. They consulted on election promises and things that were already debated in the previous Parliament. The minister brought forward his green paper. The green paper was criticized, correctly and rightfully so, for going too far in one direction, for posing the question of how we could give more flexibility to law enforcement, how we could give them more tools to do their jobs, which is a complete misunderstanding of the concerns that Canadians had with Bill C-51 to begin with. It goes back to the earlier point I made. Instead of actually giving law enforcement the resources to create their tools, having a robust anti-radicalization strategy, and making sure that we do not see vulnerable young people falling through the cracks and being recruited by terrorist organizations like ISIS or the alt right that we see in these white supremacist groups, what happened? We embarked on this consultation that was already going in one direction, and nearly two years after the Liberals coming into power, we finally see legislation tabled. The minister, in his speech earlier today, defended tabling that legislation in the dying days of a spring sitting of Parliament before the House rises for the summer by saying that we would have time to consider and contemplate the legislation over the summer. He neglected to mention that the very same powers that stood on shaky constitutional ground that were accorded to agencies like CSIS by the Conservatives' BillC-51 remain on the books, and as Michel Coulombe, the then director of CSIS, now retired, said repeatedly in committee, they are powers that were being used at that time. It is all well and good to consult. Certainly, no one is opposed to the principles behind consultation, but when the consultation is about promises that were made to the Canadian people to fix legislation that undermined their rights while the very powers that undermined their rights are still on the books and being used, then one has to recognize the urgency to act. The story continues because after this consultation the Standing Committee on Public Safety and National Security conducted a consultation. We made recommendations and the NDP prepared an excellent supplementary report, which supports the committee's unanimous recommendations, but also includes our own, in support of the bill introduced by my colleague from Esquimalt—Saanich—Sooke, which is on the Order Paper. He was the public safety critic before me and he led the charge, along with the member for Outremont, who was then the leader of the official opposition, against BillC-51. The bill introduced by my colleague from Esquimalt—Saanich—Sooke entirely repeals all of the legislation in Bill C-51. Interestingly, the Minister of Public Safety and Emergency Preparedness defended the fact that he did not repeal it all by stating that several MPs, including the member for Spadina—Fort York, said that the reason not to do so was that it would be a highly complex legislative endeavour. My colleague introduced a bill that is on the Order Paper and that does exactly that. With due respect to my colleague, it cannot be all that complex if we were able to draft a bill that achieved those exact objectives. Bill C-59 was sent to the Standing Committee on Public Safety and National Security before second reading, on the pretext that this would make it possible to adopt a wider range of amendments, give the opposition more opportunities to be heard, and allow for a robust study. What was the end result? A total of 55 amendments were adopted, and we are proud of that. However, of those 55 amendments, two come from the NDP, and one of those relates to the preamble to one part of the bill. While I have no desire to impugn the Liberals' motives, the second amendment was adopted only once the wording met their approval. None of the Conservatives' amendments were adopted. Ultimately, it is not the end of the world, because we disagree on several points, but I hear all this talk about collaboration, yet none of the Green Party's amendments were adopted. This goes to show that the process was rigged and that the government had already decided on its approach. The government is going to brag about the new part 1.1 of the legislation that has been adopted. Contrary to what the minister said when answering my question earlier today in debate, that would not create any new legal obligation in terms of how the system currently works. The ministerial directives that are adopted to prohibit—despite loopholes, it is important to note—the use of information obtained under torture will remain just that, ministerial directives. The legal obligation that the minister or the Governor in Council “may” recommend the issuing of directives to deputy heads of departments is just not good enough. If it were, the Liberals would have had no problem voting for amendments that I read into record at committee. Time does not permit me to reread the amendments into the record, but I read them into the record in my question for the minister. The amendments would have explicitly and categorically prohibited acquiring, using, or, in way, shape, or form, interacting with information, from a public safety perspective, that may have been obtained under the use of torture. That is in keeping with our obligations under international law conventions that Canada has signed on to. On a recorded vote, on every single one of those amendments, every member of the committee, Liberal and Conservative alike, voted against them. I invite Canadians to look at that record, and I invite Canadians to listen to what the minister said in response to me. When public safety may be at risk, there is no bigger admission that they are open to using information obtained under the use of torture than saying that they want to keep the flexibility when Canadians are at risk. Let Canadians be assured that it has been proven time and again that information obtained under the use of torture is of the most unreliable sort. It not only does nothing to protect Canadians and ensure public safety, but most of the time it does the opposite, by leading law enforcement on wild goose chases with erroneous information that could put their lives at risk, and Canadian lives at risk, not to mention the abhorrent and flagrant breach of human rights here and elsewhere through having those types of provisions. Therefore, I will let the Liberals explain why they voted against those amendments to explicitly prohibit torture, and why they feel that standing on ministerial directives and words like “may”, that are anything but binding, is good enough. The Minister of Public Safety loves to boast that he has the support of various experts, and I have the utmost respect for those experts. I took the process in committee very seriously. I tried to unpack the extremely complex elements of the bill. My Conservative colleague mentioned the Chair's decision to apply Standing Order 69.1. In my opinion, separating the votes on the different elements of the bill amounts to an acknowledgement that it is indeed an omnibus bill. A former director of CSIS, who served as a national security advisor to Prime Minister Harper and the current Prime Minister, said that the bill was beginning to rival the Income Tax Act in terms of complexity. Furthermore, several witnesses were forced to limit their testimony to just one part of the bill. In addition, elements were added concerning the Communications Security Establishment, or CSE, and those elements fall within the scope of national defence, yet they were never mentioned during the consultations held by the Standing Committee on Public Safety and National Security or by the Minister of Public Safety. Before anyone jumps on me, I want to say that we realize the CSE's statutory mandate needs to be updated. We recognize that cybersecurity threats exist. However, when a government rams something through, as the government is doing with Bill C-59, we end up with flawed definitions, in particular with respect to the information available to the public, and with vague allocation of powers. Furthermore, the government is already announcing the position of a director of a new centre that is being created, under which everything will be consolidated, even though the act that is set out in the budget and, according to the minister, should be introduced this fall, has not yet been introduced. This bill has many parts. The committee heard from some impressive experts, including professors Carvin, Forcese, and Wark, authors of some very important and interesting briefs, all of which are well thought out and attempt to break down all of the complicated aspects of the bill, including the ones I just mentioned. In their columns in The Globe and Mail, they say that some parts of the bill are positive and others require a more in-depth study. One of these parts has to do with information sharing. Information sharing was one of the most problematic aspects of BillC-51. Information sharing is recognized by the experts whom the minister touts as those supporting his legislation, by civil liberties associations and others, as one of the most egregious elements of what was BillC-51, and that is changed only in a cosmetic way in this legislation. We changed “sharing” to “disclosure”, and what does that mean? When there are consequential amendments to changing “disclosure” everywhere else in all of these acts, it does not change anything. All experts recognize that. The problematic information-sharing regime that was brought in, which is a threat to Canadians' rights and freedoms, still exists. If we want to talk about what happened to Maher Arar, the Liberals voted down one of my amendments to include Global Affairs as one of the governmental departments that Canadians could make a complaint about to the new review agency. Yet, when it comes to consular services, when it comes to human rights breaches happening to Canadians abroad, Global Affairs and consular services have a role to play, especially when we see stories in the news of CSIS undermining efforts of consular affairs to get Canadians out of countries with horrible human rights records and back here. This has all fallen on deaf ears. The information-sharing regime remains in place. The new powers given to CSE, in clause 24, talk about how CSE has the ability to collect. Notwithstanding the prohibition on it being able to collect information on Canadians, it can, for the sake of research and other things, and all kinds of ill-defined terms, collect information on the information infrastructure related to Canadians. Incidentally, as a matter of fact, it voted down my amendments to have a catch-and-release provision in place for information acquired incidentally on Canadians. What does that do? When we read clause 24 of part 3 of the bill related to CSE, it says that it is for the purposes of “disclosing”. Not only are they now exempt from the explicit prohibition that they normally have in their mandate, they can also disclose. What have the Liberals done to the information-sharing regime brought in by the Conservatives under BillC-51? It is called “disclosure” now. Members can do the math. We are perpetuating this regime that exists. I know my time is very limited, so I want to address the issue of threat disruption by CSIS. As I said in my questions to my Conservative colleague, the very reason CSIS exists is that disruption is a police duty. As a result, leaving the power to disrupt threats granted in former Bill C-51 in the hands of CSIS still goes against the mandate of CSIS and its very purpose, even if the current government is making small improvements to the constitutionality of those powers. That is unacceptable. I am not alone in saying this. As I said in my questions to my Conservative colleagues, I am talking about the excellent interview with former RCMP commissioner Paulson. He was interviewed by Professors Carvin and Forcese on their podcast. That interview raised concerns about that power. In closing, I would like to talk about solutions. After all, I did begin my remarks by saying that we do not want to increase the legislative powers, which we believe are already sufficient. I am talking here about Bill C-51, which was introduced in the previous Parliament. We need to look at resources for police officers, which were cut by the previous government. The Conservatives eliminated the police recruitment fund, which allowed municipalities and provinces to recruit police officers and improve police services in their jurisdictions. I am thinking in particular of the Montreal police, or SPVM, and the Eclipse squad, which dealt with street gangs. It was a good thing the Government of Quebec was there to fill the gap left by the elimination of the funding that made it possible for the squad to exist. The current government is making some efforts in the fight against radicalization, but it needs to do more. The Conservatives are dumping on and ridiculing those efforts. The radicalization that we are seeing on social media and elsewhere targets vulnerable young people. Ridiculing and minimizing the government's efforts undermines the public safety objectives that we need to achieve. We cannot support a bill that so deeply undermines the protection of Canadians' rights and privacy. Despite what they claim across the way, this bill does nothing to protect the safety of Canadians, which, let us be clear, is an objective all parliamentarians want to achieve. However, achieving that objective must not be done to the detriment of rights and freedoms, as was the case under the previous government and as is currently still the case with this bill. Mr. Speaker, when the member was in the official opposition a number of years ago, and we were the third party at the time, there was a fairly significant debate that took place with respect to BillC-51. Our Prime Minister made it very clear to Canadians, unlike the New Democrats, that we saw merit in Bill C-51. However, the commitment was that if we were elected, we would fix BillC-51. There has been a great deal of consultation in every region of our country. There are two pieces of legislation, this one being the second part of it, that deals with and brings an end to BillC-51. It fulfills an election platform commitment by this Prime Minister. My question to my friend and colleague across the way is this. Does he recognize, and I am sure he does, that the NDP amendments went absolutely nowhere when Stephen Harper was Prime Minister? He might not like it, but it is quite possible that there were some problems with the amendments that the NDP were proposing. The point is this. Does he not agree that this is a commitment that the Liberal Party made in the last election, and that this legislation, in good part, is fulfilling that commitment? Mr. Speaker, if the member has a problem with the validity or the quality of the NDP amendments, he can take it up with the folks who offered us the exact wording we used, like the BC Civil Liberties Association, the Citizen Lab at Munk School at the University of Toronto, or Jean-Pierre Plouffe, who is the current commissioner of the CSE, and who will likely fill the role of the intelligence commissioner created by this legislation, or the RCMP Civilian Review and Complaints Commission. These are the organizations from which we took the wording that we used in our amendments. Therefore, on that front, I am very comfortable with the quality of the amendments, because they come from esteemed experts and folks who are fighting the good fight in civil society. That being said, if I were to give the Liberals a report card on this issue, they would get two failures. The first failure is with respect to leadership in the previous Parliament. They were spineless with respect to BillC-51 when the previous government brought in that draconian legislation. They can have all the revisionist history they want, but the reality is that real leadership is standing up for Canadian rights and freedoms. That is not what they did in the last Parliament. In conclusion, the second failure is with respect to what they have done with this legislation, which does nothing to fix any of the problems. Therefore, there was a failure to show leadership and to fix the problems that they allowed to happen in the first place. Mr. Speaker, I will be splitting my time with the member for Oakville North—Burlington this evening. I rise today to speak in support of Bill C-59. With this bill, our government is entrenching our commitment to balancing the primacy of the Charter of Rights and Freedoms with protecting our national security. We are enhancing accountability and transparency. We are correcting the most problematic elements of the Harper government's old BillC-51. Our government conducted an unprecedented level of public consultation with Canadians about our national security in order to effectively develop the bill. Canadians told us loudly and clearly that they wanted a transparent, accountable, and effective national security framework. That is exactly what we will accomplish with Bill C-59. The minister took the rare step of referring Bill C-59 to the Standing Committee on Public Safety after first reading, underscoring our government's commitment to Canadians to ensure that we got this important legislation right. Prior to the bill returning to this chamber, it underwent an extensive four-month study, hearing from nearly 100 witnesses. I would like to thank the members of the Standing Committee on Public Safety and National Security for their hard work in studying the bill extensively and for their comprehensive report. Fundamental to our promise to bring our national security framework into the 21st century, we are fixing the very flawed elements of the old BillC-51, which I heard so much about from my constituents in Parkdale—High Park during the 2015 electoral campaign. I am proud to support this evidence-based, balanced legislation, and I am reassured to see positive reactions from legal and national security experts right around the country, including none other than Professors Craig Forcese and Kent Roach, two of the foremost legal academics in Canada who have been at the centre of concerns about the overreach of the Harper government's old BillC-51. Professors Forcese and Roach have said, “ Bill C-59 is the biggest overhaul in Canadian national security since the creation of the Canadian Security and Intelligence Service (CSIS) in 1984—and it gets a lot of things right." Bill C-59 builds on our commitment to enhance accountability, which started with our government's introduction of BillC-22 in 2016. Bill C-22, which has received royal assent established an all-party committee of parliamentarians, representatives elected by the Canadian public, to review and critically analyze security and intelligence activities. 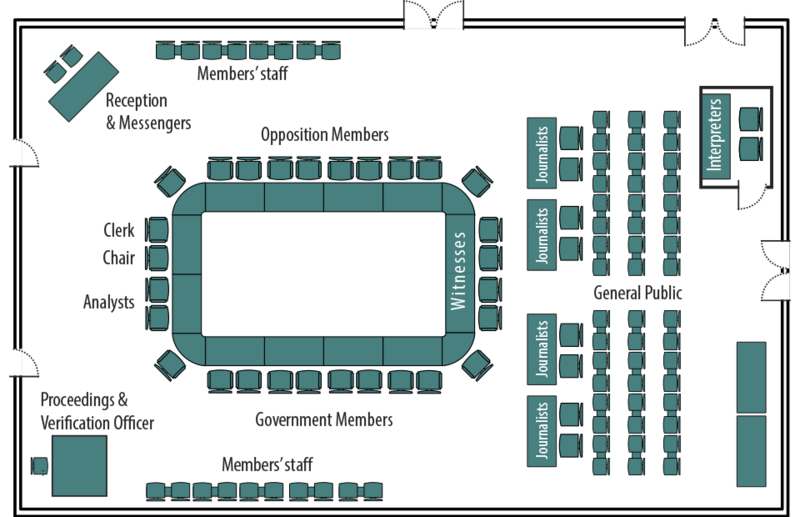 For the first time in history, a multi-party group of members of this chamber as well as the Senate are now holding Canada's security apparatus to account. We are building on BillC-22 with the current bill, Bill C-59, which would establish a national security and intelligence review agency. The NSIRA, as it would be known, would function as a new expert review body with jurisdiction across the entire government to complement the efforts of the recently established parliamentary oversight committee, which I just mentioned. This feature would incorporate one of the important recommendations of the Maher Arar inquiry, which called on the government to, and I am citing recommendation 16 from the Maher Arar inquiry, “develop a protocol to provide for coordination and coherence across government in addressing issues that arise” respecting national security. With the establishment of a parliamentary oversight committee in BillC-22, and a new arm's-length review body in Bill C-59, we would be addressing the glaring gap that exists in our review bodies for national security agencies. Currently, some agencies do not have a review body or are in charge of reviewing themselves. We cannot allow the lack of such fundamental oversight to continue, especially with regard to the safety and security of Canadians. the government is finally redressing the imbalance between security service powers and those of the review bodies that are supposed to hold them to account. Bill C-59 quite properly supplements the parliamentary review committee...with a reformed expert watchdog entity. Expert review will be liberated from its silos as the new review agency has a whole-of-government mandate. This is a critical piece in our government's work, providing my constituents in Parkdale—High Park and indeed Canadians right around this country, with a comprehensive and responsible national security framework. In addition to establishing the NSIRA, Bill C-59 calls for increased and improved communication between this organization and other relevant review bodies, such as the Office of the Privacy Commissioner of Canada. This will not only boost efficiency and avoid duplication and unnecessary use of resources, but also promote a more holistic approach to protecting privacy and security at the federal level. While speaking with the residents of Parkdale—High Park in 2015, I heard about the Harper government's old BillC-51 over and over again at the doors. The major concern the residents expressed to me was about the threat posed by the previous government's Bill C-51 to their constitutional rights and freedoms. The residents of my community are an intelligent and engaged group of citizens, and they were on to something. The federal government, under the guise of “public security”, cannot be permitted to infringe on the rights and freedoms that are fundamental to our very society, to what it means to be Canadian. Yes, ensuring public safety is the pre-eminent responsibility of any government, but it is simply not acceptable to pursue security at any cost. My constituents, and indeed all Canadians, expect a government that respects fundamental constitutional rights, a government that will put in place mechanisms and safeguards to protect those rights. That is precisely what Bill C-59 would achieve. How? First, it would tighten the definition of what constitutes “terrorist propaganda”. The narrower and more targeted definition would ensure that the sacrosanct protection of freedom of expression under section 2(b) of our charter is observed, and that our security laws in Canada are not so overreaching as to limit legitimate critique and debate. Second, as a corollary to this point, Bill C-59 would also protect the right of all Canadians to legitimate protest and advocacy. One of the most searing criticisms of the Harper government's old BillC-51 was that bona fide protestors who dared to disagree with the government of the day could be caught up in a web of security sweeps, all in the name of public safety. That is not how our Liberal government operates. We respect the charter and the right of all Canadians to engage in legitimate protest and advocacy, whether they represent a group with charitable status that opposes a government policy, or a gathering of students on a university campus who take up the call for more aggressive investment of federal funds to support the expansion of women's rights internationally. That kind of advocacy is not a threat to our public security. To the contrary, it is an enhancement of our democracy. It is civil society groups and public citizens doing exactly what they do best, challenging government to do, and to be, better. In Bill C-59, we recognize this principle. We are saying to Canadians that they have constitutional rights to free speech and protest, and that we are going to affirm and protect those rights by correcting the balance between protecting safety and respecting the charter. Third, Bill C-59 would also upgrade procedures as they relate to the no-fly list. We know that the no-fly list is an important international mechanism for keeping people safe, but its use has expanded to the point of encroaching on Canadians' rights. In Bill C-59, we are determined to address this imbalance. Our changes to the no-fly list regime would do the following. They would require the destruction of information provided to the minister about a person who was, or was expected to be, on board an aircraft within seven days following the departure or cancellation of the flight. It would also authorize the minister to collect information from individuals for the purpose of issuing a unique identifier to them to assist with pre-flight verification of their identity. This is a critical step that would provide us with the legislative tools needed to develop a domestic redress mechanism. The funding for a domestic redress mechanism was delivered by our government this year, specifically $81.4 million in budget 2018. However, in order to start investing this money in a way that would allow Canadians, including children, who are false positives on the no-fly list to seek redress, we need legislative authority. Bill C-59 would provide that legislative authority. Finally, with Bill C-59 we would re-establish the paramountcy of the charter. I speak now as a constitutional lawyer who practised in this area for 15 years prior to being elected. It is unfortunate that the paramountcy of the Constitution needs to be entrenched in law. As a lawyer, I know, and we should all know, that the Constitution is always the paramount document against which all other laws are measured. Nevertheless, the previous government's disdain for the charter has made this important step necessary. Through Bill C-59, we would entrench, in black and white, that any unilateral action by CSIS to collect data in a manner that might infringe on the Constitution is no longer permitted. Instead, under Bill C-59, any such proposals would have to come before a judge, who must evaluate the application in accordance with the law, where protecting charter rights would be the paramount concern. Our party helped establish the charter in 1982, and our government stands behind that document and all the values and rights it protects. As I and many others have said before in the House, the task is to balance rights and freedoms while upholding our duty to protect the safety of Canadians. That is not an easy task, but I am confident that Bill C-59, in partnership with BillC-22, would provide a comprehensive and balanced approach to national security. It is respectful of the charter and our Constitution. That is why I support this bill, and I ask all members to do the same. Mr. Speaker, before I get into the substantive remarks, I want to respond to an interesting comment made by my friend from Hull—Aylmer, who was asking in a question about actions taken by the previous government. There were many provisions in BillC-51 that were aimed at making Canadians safer. However, one thing I do not think has come up yet in the debate was a specific proposal that the Conservative Party put forward in the last election to make it illegal to travel to specific regions. There were certain exceptions built into the legislation, travel for humanitarian purposes, and for journalistic purposes perhaps. That was a good proposal, because when people are planning to travel to Daesh-controlled areas in Syria and Iraq, outside of certain very clearly defined objectives, it is fairly obvious what the person is going there to do. This was another proposal that we had put forward, one that the government has not chosen to take us up on, that I think eminently made sense. It would have given prosecutors and law enforcement another tool. Hopefully, that satisfies my friend from Hull—Aylmer, and maybe he will have further comments on that. Substantively on Bill C-59, it is a bill that deals with the framework for ensuring Canadians' security, and it would make changes to a previous piece of legislation from the previous Parliament, BillC-51. There are a number of different measures in it. I would not call it an omnibus bill. I know Liberals are allergic to that word, so I will not say it is an omnibus bill. I will instead say that it makes a number of disparate changes to different parts of the act. I am going to go through some of those changes as time allows, and talk about some of the questions that are raised by each one. Certainly some of those changes are ones that we in the Conservative Party do not support. We are concerned about those changes making us less safe. Before I go on to the particular provisions of the bill, I want to set the stage for the kinds of discussions we are having in this Parliament around safety and security. We take the position, quite firmly, that the first role of government is to keep people safe. Everything else is contingent on that. If people are not safe, all of the other things that a government does fall secondary to that. They are ultimately less important to people who feel that their basic security is not preserved. Certainly it is good for us to see consensus, as much as possible in this House, on provisions that would genuinely improve people's safety. Canadians want us to do it, and they want us to work together to realistically, in a thoughtful and hard-headed way, confront the threats that are in front of us. We should not be naive about the threats we face, simply because any one of us individually has not interacted with a terrorist threat, although many people who were part of the previous Parliament obviously have interacted directly with a terrorist threat, given the attack that occurred on Parliament Hill. In any event, just because there are many threats that we do not see or directly experience ourselves, it does not mean they are not there. Certainly we know our law enforcement agencies are actively engaged in monitoring and countering threats, and doing everything they can to protect us. We need to be aware that those threats are out there. They are under the surface, but they are having an impact. There is a greater potential impact on our lives that is prevented if we give our security agencies and our law enforcement the tools that they need. Many of these threats are things that people are aware of. There is the issue of radicalization and terrorism that is the result of a world in which the flow of information is much more across borders than it used to be. Governments can, to some extent, control the entry of people into their space, but they cannot nearly as effectively control the ideas of radicalization that come easily across borders and that influence people's perceptions. People can be radicalized even if they have never had any physical face-to-face interactions with people who hold those radical views. These things can happen over the Internet much more easily today than they did in the past. They do not require the face-to-face contact that was probably necessary in the past for the dissemination of extreme ideas. People living in a free western society can develop romanticized notions about extremism. This is a challenge that can affect many different people, those who are new to Canada, as well as people whose families have been here for generations. This growing risk of radicalization has a genuine impact, and it is something that we need to be sensitive to. Of course, there are different forms of radicalization. There is radicalization advanced by groups like Daesh. We also need to aware of threats that are posed from extreme racist groups that may advocate targeting minorities, for instance, the shooting we saw at the mosque in Quebec City, or the attack that just happened at a mosque in Edson. These come out of extreme ideas that should be viewed as terrorism as well. Therefore, there are different kinds of threats that we see from different directions as the result of a radicalization that no longer requires a face-to-face interaction. These are real, growing, emergent threats. There is also the need for us to be vigilant about threats from foreign governments. More and more, we are seeing a world in which foreign authoritarian governments are trying to project power beyond their borders. They are trying to influence our democratic system by putting messages out there that may create confusion, disinformation, and there may be active interference within our democratic system. There is the threat from radical non-state actors, but there are also threats from state actors, who certainly have malicious intent and want to influence the direction of our society, or may attack us directly, and want to do these sorts of things to their advantage. In the interest of protecting Canadians, we need to be aware and vigilant about these threats. We need to be serious about how we respond to them. As much as we seek consensus in our discussion of these issues, we sometimes hear from other parties, when we raise these real and legitimate concerns, the accusation that this is spreading fear. We should not talk in these sorts of stark terms about threats that we face, as that is creating fear. The accusation is that it also creates division, because the suggestion that there might be people out there with radical ideas divides us. However, I think there is a difference between fear and prudence. We need to know that difference as legislators, and we need to be prudent without being fearful. Fear, I think, implies an irrational, particularly an emotional response to threats that would have us freeze up, worry incessantly, stop going about our normal activities, or maybe even lead to the demonization of other people who someone might see as a threat. These are all things that could well be manifestations of fear, which is not good, obviously. However, prudence is something quite different. Prudence is to be aware of threats in a clear-headed, factual, realistic way. It is to say that thoughtfully, intellectually, reasonably, we need to do everything we can to protect ourselves, recognizing that if we fail to be prudent, if we do not take these rational, clear-headed steps to give our law enforcement agencies the tools they need to protect us from real risks that exist, then we are more liable to violence and terrorism. Also, obviously from that flows a greater risk of people being seized with that kind of emotional fearful response. It is our job as legislators to encourage prudence, and to be prudent in policy-making. Therefore, when we raise concerns about security threats that we face, illegal border crossings, radicalization, and Daesh fighters returning to Canada, it is not because we are advocating for a fearful response, but rather we are advocating for a prudent response. Sometimes that distinction is lost on the government, because it is often typical of a Liberal world view to, perhaps with the best of intentions, imagine the world to be a safer place than it is. Conservatives desire a better world, but we also look at the present world realistically. Sometimes one of the problems with Liberals is that they imagine the world to already be the way they would like it to be. The only way we get to a better, safer world, on many fronts, is by looking clearly at the challenges we face, and then, through that, seeking to overcome them. It was variously attributed to Disraeli, Thatcher, or Churchill, but the line “the facts of life are conservative” is one that sticks out to me when we talk about having a prudent, clear-sighted approach to the threats we face. My colleague, the member for Thornhill, may correct me on who originally said that. Disraeli lived first, so we will say it was probably him. Now, having set the framework through which we view, and I think we ought to view this bill, I want to speak specifically to a number of the changes that have been put forward. One of points we often hear from the government is about changes it has made with respect to the issue of torture. An amendment was proposed at committee. I understand that this was not part of the original bill, but came through in an amendment. It restates Canada's position that torture is obviously not acceptable. There is no disagreement in this House about the issue of torture. Obviously, we all agree that torture is unacceptable. Some of the aspects of this amendment, which effectively puts into law something that was already in a ministerial directive, is obviously not a substantial change in terms of changing the place or the mechanism by which something is recognized that was already in place. Of course, when it comes to torture, it is a great opportunity for people in philosophy classrooms to debate, theoretically, what happens if there is information that could save lives that could be gained that way. However, the reality is the evidence demonstrates that torture not only is immoral, but is not effective at gathering information. A commitment to effectiveness, to giving our law enforcement agencies all the tools that are necessary and effective, while also opposing torture, are actually quite consistent with each other. I do not think there is anything substantively new with respect to those provisions that we are seeing from the government. It is important to be clear about that. There are areas on which we agree; there are areas on which we disagree. However, there are areas on which we agree, and we can identify that clearly. There are some other areas. In the beginning, the bill introduces a new national security and intelligence review agency. There is a new administrative cost with this new administrative agency. One of the questions we have is where that money is going to come from. The government is not proposing corresponding increases to the overall investment in our security agencies. If a new administrative apparatus is added, with administrative costs associated with it, obviously that money has to come from somewhere. Likely it is a matter of internal reallocation, which effectively means a fairly substantial cut to the operational front-line activities of our security agencies. If that is not the case, I would love to hear the government explain how it is not, and where the money is coming from. It seems fairly evident that when something is introduced, the cost of which is about $97 million over five years, and that is an administrative cost, again that money has to come from somewhere. With the emergence and proliferation of threats, I know Canadians would not like to see what may effectively amount to a cut to front-line delivery in terms of services. That is clearly a concern that Canadians have. Part 2 deals with the intelligence commissioner, and the Liberals rejected expedited timing requirements on the commissioner's office. This effectively means that security operations may be delayed because the commissioner is working through the information. There are some technical aspects to the bill, certainly that we have raised concerns about, and we will continue to raise concerns about them. We want to try to make sure that our security agencies, as my colleagues have talked about, have all the tools they need to do their job very effectively. Now, this is something that stuck out to me. There are restrictions in part 3 to security and intelligence agencies being able to access already publicly available data. Effectively, this bill has put in place restrictions on accessing that data, which is already publicly available. If security agencies have to go through additional hoops to access information that is already on Facebook or Twitter, it is not clear to me why we would put those additional burdens in place and what positive purpose those additional restrictions would achieve. That is yet another issue with respect to the practical working out of the bill. Given the political context of some of these changes, one wonders why the government is doing this. It is because the Liberals put themselves in a political pickle. They supported, and voted for, BillC-51. The current Prime Minister, as a member of the then third party, voted in favour of that legislation. However, the Liberals then wanted to position themselves differently on it, and so they said they were going to change aspects of it when they got into government. Some of those changes serve no discernible purpose, and yet they raise additional questions regarding the restrictions they would put on our law enforcement agencies' ability to operate effectively and efficiently. Part 4 of the proposed legislation puts additional restrictions on interdepartmental information-sharing. Members have spoken about this extensively in the debate, but there are important points to underline here. The biggest act of terrorism in our country's history, the Air India bombing, was determined to have been preventable by the Air India inquiry. The issue was that one agency was keeping information from another agency that could have prevented the bombing. Certainly, if information is already in the hands of government, it makes sense to give our agencies the tools to share that information. It seems fairly obvious that people should be able to share that information. It is clearly in the national interest. If it can save lives to transfer information effectively from one department to another with regard to files about individuals who may present a security threat, and if CSIS already has that information and is going to share it with the RCMP, I think all Canadians would say that makes sense. However, Bill C-59 would impose additional restrictions on that sharing of information. Through taking a hard-headed look at the threats we face and the need to combat them, parliamentarians should be concerned about those particular provisions in this bill. Another issue raised in this bill is that of threat disruption. Should security agencies be able to undertake actions that disrupt a security threat? Previously, under BillC-51, actions could be taken to disrupt threats without a warrant if those actions were within the law. If there was a need to do something that would normally be outside of the law, then a warrant would be required, but if it was something ordinarily within the remit of the law, then agencies could proceed with it. It could be something like talking to the parents of a potential terrorist traveller, and alerting them to what was going on in the life of their child, or being present in an online chatroom to try to counter a radicalizing message. These things are presently legal under Bill C-51. However, under Bill C-59, there would be a much higher standard with respect to the activities that would require a warrant, which include disseminating any information, record, or document. It seems to me that something as simple as putting a security agent in an online chatroom to move the conversation in a particular direction through the dissemination of information would require a warrant, which can create challenges if one wants to engage in an organic conversation so as to counter messages in real time. All of us in the House believe in the need for parameters and rules around this, but BillC-51 established parameters that allowed for intervention by law enforcement agencies where necessary. It did keep us safe, and unfortunately Bill C-59 would make this more difficult and muddies the waters. That is why we oppose it. Madam Speaker, I rise tonight to speak against Bill C-59 at third reading. Unfortunately, it is yet another example of the Liberals breaking an election promise, only this time it is disguised as promise keeping. In the climate of fear after the attacks on Parliament Hill and in St. Jean in 2014, the Conservative government brought forward BillC-51. I heard a speech a little earlier from the member for Bellechasse—Les Etchemins—Lévis, and he remembers things slightly different than I. The difference is that I was in the public safety committee and he, as the minister, was not there. He said that there was a great clamour for new laws to meet this challenge of terrorism. I certainly did not hear that in committee. What I heard repeatedly from law enforcement and security officials coming before us was that they had not been given enough resources to do the basic enforcement work they needed to do to keep Canadians safe from terrorism. However, when the Conservatives finally managed to pass their Anti-terrorism Act, they somehow managed to infringe our civil liberties without making us any safer. At that time, the New Democrats remained firm in our conviction that it would be a mistake to sacrifice our freedoms in the name of defending them. BillC-51 was supported by the Liberals, who hedged their bets with a promise to fix what they called “its problematic elements” later if they were elected. Once they were elected in 2015, that determination to fix Bill C-51 seemed to wane. That is why in September of 2016, I introduced BillC-303, a private member's bill to repeal Bill C-51 in its entirety. Now, after more than two years and extensive consultations, we have this version of Bill C-59 before us, which does not repeal BillC-51 and fails to fix most of the major problems of Bill C-51, it actually introduces new threats to our privacy and rights. Let me start with the things that were described, even by the Liberals, as problematic, and remain unfixed in Bill C-59 as it stands before us. First, there is the definition of “national security” in the Anti-terrorism Act that remains all too broad, despite some improvements in Bill C-59. Bill C-59 does narrow the definition of criminal terrorism speech, which BillC-51 defined as “knowingly advocates or promotes the commission of terrorism offences in general”. That is a problematic definition. Bill C-59 changes the Criminal Code wording to “counsels another person to commit a terrorism offence”. Certainly, that better captures the problem we are trying to get at in the Criminal Code. There is plenty of existing case law around what qualifies as counselling someone to commit an offence. Therefore, that is much better than it was. Then the government went on to add a clause that purports to protect advocacy and protest from being captured in the Anti-terrorism Act. However, that statement is qualified with an addition that says it will be protected unless the dissent and advocacy are carried out in conjunction with activities that undermine the security of Canada. It completes the circle. It takes us right back to that general definition. The only broad definition of national security specifically in BillC-51 included threats to critical infrastructure. Therefore, this still raises the spectre of the current government or any other government using national security powers against protesters against things like the pipeline formerly known as Kinder Morgan. The second problem Bill C-59 fails to fix is that of the broad data collection information sharing authorized by BillC-51, and in fact maintained in Bill C-59. This continues to threaten Canadians' basic privacy rights. Information and privacy commissioners continue to point out that the basis of our privacy law is that information can only be used for the purposes for which it is collected. Bill C-51 and Bill C-59 drive a big wedge in that important protection of our privacy rights. Bill C-51 allowed sharing information between agencies and with foreign governments about national security under this new broad definition which I just talked about. Therefore, it is not just about terrorism and violence, but a much broader range of things the government could collect and share information on. Most critics would say Bill C-59, while it has tweaked these provisions, has not actually fixed them, and changing the terminology from “information sharing” to “information disclosure” is more akin to a sleight of hand than an actual reform of its provisions. The third problem that remains are those powers that BillC-51 granted to CSIS to act in secret to counter threats. This new proactive power granted to CSIS by Bill C-51 is especially troubling precisely because CSIS activities are secret and sometimes include the right to break the law. Once again, what we have done is returned to the very origins of CSIS. In other words, when the RCMP was both the investigatory and the enforcement agency, we ran into problems in the area of national security, so CSIS was created. Therefore, what we have done is return right back to that problematic situation of the 1970s, only this time it is CSIS that will be doing the investigating and then actively or proactively countering those threats. We have recreated a problem that CSIS was supposed to solve. Bill C-59 also maintains the overly narrow list of prohibitions that are placed on those CSIS activities. CSIS can do pretty much anything short of committing bodily harm, murder, or the perversion of the course of democracy or justice. However, it is still problematic that neither justice nor democracy are actually defined in the act. Therefore, this would give CSIS powers that I would argue are fundamentally incompatible with a free and democratic society. The Liberal change would require that those activities must be consistent with the Charter of Rights and Freedoms. That sounds good on its face, except that these activities are exempt from scrutiny because they are secret. Who decides whether they might potentially violate the charter of rights? It is not a judge, because this is not oversight. There is no oversight here. This is the government deciding whether it should go to the judge and request oversight. Therefore, if the government does not think it is a violation of the charter of rights, it goes ahead and authorizes the CSIS activities. Again, this is a fundamental problem in a democracy. The fourth problem is that Bill C-59 still fails to include an absolute prohibition on the use of information derived from torture. The member for Sherwood Park—Fort Saskatchewan made some eloquent statements on this with which I agree. What we have is the government saying that now it has included a cabinet directive on torture in Bill C-59, which gives the cabinet directive to force of law. The cabinet directive already has the force of law, so it absolutely changes nothing about this. However, even worse, there is no absolute prohibition in that cabinet directive on the use of torture-implicated information. Instead, the prohibition says that information from torture can be used in some circumstances, and then it sets a very low threshold for when we can actually use information derived from fundamental rights violations. Not only is this morally repugnant, most likely unconstitutional, but it also gives us information that is notoriously unreliable. People who are being tortured will say precisely what they think the torturer wants them to say to stop the torture. Finally, Bill C-59 would not do one of the things it could have done, and that is create a review agency for the CBSA. The CBSA remains without an independent review and complaints mechanism. It is one of our only law enforcement or security agencies that has no direct review agency. Yes, the new national security intelligence review agency will have some responsibility over the CBSA, but only in terms of national security questions, not in terms of its basic day-to-day operations. We have seen quite often that the activities carried out by border agencies have a major impact on fundamental rights of people. We can look at the United States right now and see what its border agency is doing in the separation of parents and children. Therefore, it is a concern that there is no place in Canada, if we have a complaint about what CBSA has done, to file that complaint except in a court of law, which requires information, resources, and all kinds of other things that are unlikely to be available to those people who need to make those complaints. The Liberals will tell us that there are some areas where they have already acted outside of Bill C-59, and we have just heard the member for Winnipeg North talk about BillC-22, which established the national security review committee of parliamentarians. The New Democrats feel that this is a worthwhile first step toward fixing some of the long-standing weaknesses in our national security arrangements, but it is still only a review agency, still only an agency making recommendations. It is not an oversight agency that makes decisions in real time about what can be done and make binding orders about what changes have to be made. The government rejected New Democrat amendments on the bill, amendments which would have allowed the committee to be more independent from the government. It would have allowed it to be more transparent in its public reporting and would have given it better integration with existing review bodies. The other area the Liberals claim they have already acted on is the no-fly list. It was interesting that the minister today in his speech, opening the third reading debate, claimed that the government was on its way to fixing the no-fly list, not that it had actually fixed the no-fly list. Canada still lacks an effective redress system for travellers unintentionally flagged on the no-fly list. I have quite often heard members on the government side say that no one is denied boarding as a result of this. I could give them the names of people who have been denied boarding. It has disrupted their business activities. It has disrupted things like family reunions. All too often we end up with kids on the no-fly list. Their names happen to be Muslim-sounding or Arabic-sounding or whatever presumptions people make and they names happen to be somewhat like someone else already on the list. The group of no-fly list kids' parents have been demanding that we get some effective measures in place right away to stop the constant harassment they face for no reason at all. The fact that we still have not fixed this problem raises real questions about charter right guarantees of equality, which are supposed to be protected by law in our country. Not only does Bill C-59 fail to correct the problems in BillC-51, it goes on to create two new threats to fundamental rights and freedoms of Canadians, once again, without any evidence that these measures will make it safer. Bill C-59 proposes to immediately expand the Communications Security Establishment Canada's mandate beyond just information gathering, and it creates an opportunity for CSE to collect information on Canadians which would normally be prohibited. Just like we are giving CSIS the ability to not just collect information but to respond to threats, now we are saying that the Communications Security Establishment Canada should not just collect information, but it should be able to conduct what the government calls defensive cyber operations and active cyber operations. Bill C-59 provides an overly broad list of purposes and targets for these active cyber operations. It says that activities could be carried out to “degrade, disrupt, influence, respond to or interfere with the capabilities, intentions or activities of a foreign individual, state, organization or terrorist group as they relate to international affairs, defence or security.” Imagine anything that is not covered there. That is about as broad as the provision could be written. CSE would also be allowed to do “anything that is reasonably necessary to maintain the covert nature of the activity.” Let us think about that when it comes to oversight and review of its activities. In my mind that is an invitation for it to obscure or withhold information from review agencies. These new CSE powers are being expanded without adequate oversight. Once again, there is no independent oversight, only “after the fact” review. To proceed in this case, it does not require a warrant from a court, but only permission from the Minister of National Defence, if the activities are to be domestic based, or from the Minister of Foreign Affairs, if the activities are to be conducted abroad. These new, active, proactive measures to combat a whole list and series of threats is one problem. The other is while Bill C-59 says that there is a still a prohibition on the Canadian Security Establishment collecting information on Canadians, we should allow for what it calls “incidental” acquisition of information relating to Canadians or persons in Canada. This means that in situations where the information was not deliberately sought, a person's private data could still be captured by CSE and retained and used. The problem remains that this incidental collecting, which is called research by the government and mass surveillance by its critics, remains very much a part of Bill C-59. Both of these new powers are a bit disturbing, when the Liberal promise was to fix the problematic provisions in BillC-51, not add to them. The changes introduced for Bill C-51 in itself are minor. The member for Sherwood Park—Fort Saskatchewan talked about the changes not being particularly effective. I have to agree with him. I do not think they were designed to be effective. They are unlikely to head off the constitutional challenges to Bill C-51 already in place by organizations such as the Canadian Civil Liberties Association. Those constitutional challenges will proceed, and I believe that they will succeed. What works best in terrorism cases? Again, when I was the New Democrats' public safety critic sitting on the public safety committee when BillC-51 had its hearings, we heard literally dozens and dozens of witnesses who almost all said the same thing: it is old-fashioned police work on the front line that solves or prevents terrorism. For that, we need resources, and we need to focus the resources on enforcement activities at the front end. What did we see from the Conservatives when they were in power? There were actual cutbacks in the budgets of the RCMP, the CBSA, and CSIS. The whole time they were in power and they were worried about terrorism, they were denying the basic resources that were needed. What have the Liberals done since they came back to power? They have actually added some resources to all of those agencies, but not for the terrorism investigation and enforcement activities. They have added them for all kinds of other things they are interested in but not the areas that would actually make a difference. We have heard quite often in this House, and we have heard some of it again in this debate, that what we are talking about is the need to balance or trade off rights against security. New Democrats have argued very consistently, in the previous Parliament and in this Parliament, that there is no need to trade our rights for security. The need to balance is a false need. Why would we give up our rights and argue that in doing so, we are actually protecting them? This is not logical. In fact, it is the responsibility of our government to provide both protection of our fundamental rights and protection against threats. The Liberals again will tell us that the promise is kept. What I am here to tell members is that I do not see it in this bill. I see a lot of attempts to confuse and hide what they are really doing, which is to hide the fundamental support they still have for what was the essence of BillC-51. That was to restrict the rights and freedoms of Canadians in the name of national security. The New Democrats reject that false game. Therefore, we will be voting against this bill at third reading. Madam Speaker, to the last point made by my hon. friend from Durham, that BillC-51 in the 41st Parliament, the Anti-terrorism Act, was there to make us safe, again, the expert evidence we heard, even before that bill passed, was that BillC-51 under the previous government made us less safe. Law enforcement has asked for tools with respect to preventative arrest. There needed to be an evidentiary threshold. Allegations that we were going to have some police state, and ridiculous arguments that I heard around BillC-51, were embarrassing. Why I quoted the Prime Minister was because he supported these preventative arrest powers in BillC-51. As I said, the Liberals criticized BillC-51 in a bland and undetailed way, but they voted for it. One of the specific areas where the Prime Minister was willing to stand up and say “where necessary” was on preventative arrests. At the time, the Minister of Public Safety and Emergency Preparedness decided not to give Bill C-59 second reading and sent it directly to the Standing Committee on Public Safety and National Security. He said that committee meetings were needed to get additional information in order to improve the bill, so that is what we did. During the committee's study of Bill C-59, 235 amendments were proposed. The Conservative Party proposed 29 and the Green Party 45. The Liberals rejected all of them. Four NDP amendments and 40 Liberal amendments were adopted. Twenty-two of the Liberal amendments had more to do with the wording and with administrative issues. The Liberals also proposed one very important amendment that I will talk about later on. The committee's mandate was to improve the bill. We, the Conservatives, undertook that work in good faith. We proposed important amendments to try to round out and improve the bill presented at second reading. The Liberal members on the committee rejected all of our amendments, even though they made a lot of sense. The Standing Committee on Public Safety and National Security held 16 meetings on the subject and heard from a number of witnesses, including people from all walks of life and key stakeholders in the security field. In the end, the government chose to reject all of our amendments. There were two key points worth noting. The first was that under Bill C-59, our security agencies will have fewer tools to combat the ongoing terrorist threat around the world. The second was that our agencies will have a harder time sharing information. One important proposal made in committee was the amendment introduced by the Liberal member for Montarville regarding the perpetration of torture. Every party in the House agrees that the use of torture by our intelligence or security agencies is totally forbidden. There is no problem on that score. However, there is a problem with the part about torture, in that our friends across the aisle are playing political games because they are still not prepared to tell China and Iran to change their ways on human rights. One paragraph in the part about torture says that if we believe, even if we do not know for sure, that intelligence passed on by a foreign entity was obtained through torture, Canada will not make use of that intelligence. For example, if another country alerts us that the CN Tower in Toronto is going to be blown up tomorrow, but we suspect the information was extracted through some form of torture, we will not act on that intelligence if the law remains as it is. That makes no sense. We believe we should protect Canadians first and sort it out later with the country that provided the intelligence. It is little things like that that make it impossible for us to support the bill. That element was proposed at the end of the study. Again, it was dumped on us with no notice and we had to vote on it. There are two key issues. The national security and intelligence review agency in part 1 does not come with a budget. The Liberals added an entity, but not a budget to go with it. How can we vote on an element of the bill that has no number attached to it? Part 2 deals with the intelligence commissioner. The Liberals rejected changes to allow current judges, who would retire if appointed, and retirees from being considered, despite testimony from the intelligence commissioner who will assume these new duties. Currently, only retired judges are accepted. We said that there are active judges who could do the work, but that idea was rejected. It is not complicated. It makes perfect sense. We could have the best people in the prime of their lives who may have more energy than those who are about to retire and may be less interested in working 40 hours a week. In part 3 on the Communications Security Establishment, known as CSE, there are problems concerning the restriction of information. In fact, some clauses in Bill C-59 will make capturing data more complicated. Our intelligence agencies are facing additional barriers. It will be more difficult to obtain information that allows our agencies to take action, for example against terrorists. Part 4 concerns the Canadian Security Intelligence Service, or CSIS. The Canadian Charter of Rights and Freedoms and the privacy issue often come up in connection with CSIS. A common criticism of BillC-51 is that this bill would allow agencies to breach people's privacy. Witnesses representing interest groups advocating for Canadians' privacy and people whose daily work is to ensure the safety of Canadians appeared before the committee. For example, Richard Fadden said that the agencies are currently working in silos. CSIS, the CSE, and the RCMP work in silos, and the situation is too complex. There is no way to share information, and that is not working. Dr. Leuprecht, Ph.D., from the Royal Military College, Lieutenant-General Michael Day from the special forces, and Ray Boisvert, a former security adviser, all made similar comments. Conservative amendment No. 12 was rejected. That amendment called for a better way of sharing information. In that regard, I would like to remind members of the Air India bombing in 1985. We were given the example of that bombing, which killed more than 200 people on a flight from Toronto to Bombay. It was determined that this attack could have been prevented had it been easier to share information at the time. The most important thing to note about part 7, which deals with the Criminal Code, is that it uses big words to increase the burden for obtaining arrest warrants to prevent terrorist acts. Amendments were made regarding the promotion of terrorism. Section 83.221 of the Criminal Code pertains to advocating or promoting the commission of terrorism offences. The Liberals changed the wording of that section with regard to unidentified terrorist offences, for example, ISIS videos on YouTube. They therefore created section 83.221. That changes the recognizance orders for terrorism and makes it more difficult to control threats. Now, rather than saying “likely”, it says “is necessary”. Those are just two little words, but they make all the difference. Before, if it was likely that something would happen, our security agencies could intervene, whereas now, intervention must be necessary. It is a technicality, but we cannot support Bill C-59 because of that change in wording. This bill makes it harder for security agencies and police to do their work, when it should be making it easier for them. We are not opposed to revising our national security legislation. All governments must be prepared to do that to adapt. BillC-51, which was introduced at the time by the Conservatives, was an essential tool in the fight against terrorist attacks in Canada and the world. We needed tools to help our agents. The Liberals alluded to BillC-51 during the election campaign and claimed that it violated Canadians' freedoms and that it did not make sense. They promised to introduce a new bill and here it is before us today, Bill C-59. I would say that Bill C-59, a massive omnibus bill, is ultimately not much different from Bill C-51. There are a number of parts I did not mention, because we have nothing to say and we agree with their content. We are not against everything. What we want, no matter the party, is to be effective and to keep Canadians safe. We agree on that. Nevertheless, some parts are problematic. As I said earlier, the government does not want to accept information from certain countries on potential attacks, because this information could have been obtained through torture. This would be inadmissible. Furthermore, the government is changing two words, which makes it harder to access the information needed to take action. We cannot agree with this. Now the opposite is being done, and most of the witnesses who came to see us in committee, people in the business of privacy, did not really raise any issues. They did not show up and slam their fists on the desk saying that it was senseless and had to be changed. Everyone had their views to express, but ultimately, there were not that many problems. Some of the witnesses said that Bill C-59 made no sense, but upon questioning them further, we often reached a compromise and everyone agreed that security is important. Regardless, the Liberals rejected all of the Conservatives' proposed amendments. I find that hard to understand because the minister asked us to do something, he asked us to improve Bill C-59 before bringing it back here for second reading—it is then going to go to third reading. We did the work. We did what we were supposed to do, as did the NDP, as did the Green Party. The Green Party leader had 45 amendments and is to be commended for that. I did not agree with all her amendments, but we all worked to improve Bill C-59, and in turn, to enhance security in Canadians' best interest, as promised. Unfortunately, that never happened. We will have to vote against this bill. Since I have some time left, I will give you some quotes from witnesses who appeared before the committee. For example, everyone knows Richard Fadden, the Prime Minister's former national security adviser. Mr. Fadden said that Bill C-59 was “beginning to rival the Income Tax Act for complexity. There are sub-sub-subsections that are excluded, that are exempted. If there is anything the committee can do to make it a bit more straightforward”, it would help. Mr. Fadden said that to the committee. If anyone knows security, it is Canada's former national security adviser. He said that he could not understand Bill C-59 at all and that it was worse than the Income Tax Act. That is what he told the committee. We agreed and tried to help, but to no avail. It seems like the Liberals were not at the same meeting I was at. We then saw the example of a young man who goes by the name Abu Huzaifa. Everyone knows that two or three weeks ago, in Toronto, this young man boasted to the New York Times and then to CBC that he had fought as a terrorist for Daesh in Iraq and Syria. He admitted that he had travelled there for the purposes of terrorism and had committed atrocities that are not fit to be spoken of here. However, our intelligence officers only found out that this individual is currently roaming free in Toronto from a New York Times podcast. Here, we can see the limitations of Bill C-59 in the specific case of a Canadian citizen who decided to fight against us, to go participate in terrorism, to kill people the Islamic State way—everyone here knows what I mean—and then to come back here, free as a bird. Now the Liberals claim that the law does not allow such and such a thing. When we tabled Bill C-51, we were told that it was too restrictive, but now Bill C-59 is making it even harder to get information. What do Canadians think of that? Canadians are sitting at home, watching the news, and they are thinking that something must be done. They are wondering what exactly we MPs in Ottawa are being paid for. We often see people on Facebook or Twitter asking us to do something, since that is what we are paid for. We in the Conservative Party agree, and we are trying; the government, not so much. Liberal members are hanging their heads and waiting for it to pass. That is not how it works. They need to take security a little more seriously. This is precisely why Canadians have been losing confidence in their public institutions and their politicians. This is also why some people eventually decide to take their safety into their own hands, but that should never happen. I agree that this must not happen. That would be very dangerous for a society. When people lose confidence in their politicians and take their safety into their own hands, we have the wild west. We do not want that. We therefore need to give our security officers, our intelligence officers, the powerful tools they need to do their jobs properly, not handcuff them. Handcuffs belong on terrorists, not on our officers on the ground. Christian Leuprecht from Queen's University Royal Military College said that he respected the suggestion that CSIS should stick to its knitting, or in other words, not intervene. In his view, the RCMP should take care of some things, such as disruption. However, he also indicated that the RCMP is struggling on so many fronts already that we need to figure out where the relative advantage of different organizations lies and allow them to quickly implement this. The questions that were asked following the testimony focused on the fact that the bill takes away our intelligence officers' ability to take action and asks the RCMP to take on that responsibility in CSIS's place, even though the RCMP is already overstretched. We only have to look at what is happening at the border. We have to send RCMP officers to strengthen border security because the government told people to come here. The RCMP is overstretched and now the government is asking it to do things that it is telling CSIS not to do. Meanwhile, western Canada is struggling with a crime wave. My colleagues from Alberta spoke about major crimes being committed in rural communities. Finland and other European countries have said that terrorism is too important an issue and so they are going to allow their security agencies to take action. We cannot expect the RCMP to deal with everything. That is impossible. At some point, the government needs to take this more seriously. After hearing from witnesses, we proposed amendments to improve Bill C-59, so that we would no longer have any reason to oppose it at second reading. The government could have listened to reason and accepted our amendments, and then we would have voted in favour of the bill. However, that is not what happened, and in my opinion it was because of pure partisanship. When we are asked to look at a bill before second or third reading and then the government rejects all of our proposals, it is either for ideological reasons or out of partisanship. In any case, I think it is shameful, because this is a matter of public safety and security. When I first joined the Canadian Armed Forces, in the late 1980s, we were told that the military did not deal with terrorism, that this was the Americans' purview. That was the first thing we were told. At the time, we were learning how to deal with the Warsaw Pact. The wars were highly mechanized and we were not at all involved in fighting terrorism. However, times have changed. Clearly, everything changed on September 11, 2001. Canada now has special forces, which did not exist back then. JTF2, a special forces unit, was created. Canada has had to adapt to the new world order because it could also be a target for terrorist attacks. We have to take off our blinders and stop thinking that Canada is on another planet, isolated from any form of wickedness and cruelty. Canada is on planet Earth and terrorism knows no borders. The G7 summit, which will soon be under way, could already be the target of a planned attack. We do not know. If we do not have tools to prevent and intercept threats, what will happen? That is what is important. At present, at the G7, there are Americans and helicopters everywhere. As we can see on the news, U.S. security is omnipresent. Why are there so many of them there? It is because confidence is running low. If Americans are not confident about Canadians' rules, military, and ability to intervene, they will bring everything they need to protect themselves. That is why we need to take a position of strength. Yes, of course we have to show that we are an open and compassionate country, but we still need to be realistic. We have to be on the lookout and ready to take action. Mr. Speaker, I appreciate the comments made by my colleague across the floor in relation to this particular debate, but I took particular exception when he made reference to the Liberals using BillC-51 as a political tool in the last election. The reality of the situation was that the Conservatives brought forward that piece of legislation in a timely manner to specifically start pitting Canadians against each other, driving division among Canadians. Liberals actually took a very difficult position, a position that said, “Yes, we need to give the resources and tools necessary, but at the same time, we need to protect Canadians' rights.” It was a position that was very difficult to explain and to take politically. I take great exception to the fact that the member made that particular comment. Mr. Speaker, perhaps my colleague from Kingston should talk to his Prime Minister, who, as the leader of the second opposition party, voted in favour of BillC-51. We must never forget that intervention is required in some situations. At the time, the Conservative government had to enact legislation quickly to make tools available to our law enforcement agencies. Let us not forget that when intervention is needed, as it is at the border these days, action must be taken. The problem has been going on for a year and a half, but the government is not doing anything. Put us in power, and we will fix the problem. I would like him to compare BillC-51, which has been abundantly criticized, with Bill C-59 before us today. Obviously, we are all in favour of protecting our fellow Canadians, but we are facing a relatively new threat, since many terrorist attacks are not planned, controlled and ordered by a terrorist organization, but are rather thought up and carried out by a radicalized individual. What was set out in BillC-51 to help fight radicalization, and what is now set out in Bill C-59 to remedy the same problem, which is getting worse? Mr. Speaker, I would like to thank my colleague for his very good question. Once again, we are dealing with the complex issue of threat management. In Canada, there are groups like al Qaeda and ISIS that announce their demands; we can intercept communications and prevent attacks. However, there are also people who become radicalized at home in their basement. Bill C-59 includes no mechanisms to prevent this type of situation. That is why we want to be able to question people suspected of plotting an attack based on information they might have sent or looked up, and make a preventive arrest if necessary. If there is no problem, so much the better, and if there is one, we could save lives.